At Gamescon 2016, Sennheiser reveals the GSP 300 Closed Acoustic Gaming headset. The GSP 300 is the first product to Sennheiser's new gaming range of products. The new gaming headset is designed with gamers in mind, players that look into better gaming experience with superior audio. The GSP 300 makes use of Sennheiser's expertise in acoustics to capture greater clarity and realism in games. The headset uses an ultra-comfortable memory foam pads which creates a superb acoustic seal which promotes focus and background noise cancellation. 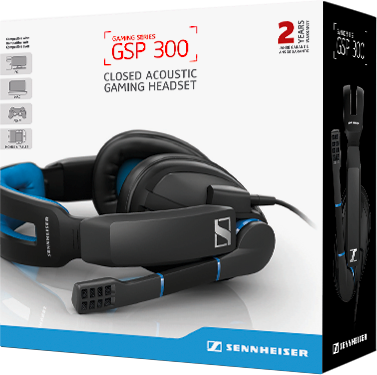 The Sennheiser GSP 300 gaming headset promises comfort that lasts for long gaming sessions. The memory foam earpads doesn't only promise the best acoustic seal, it also promises supreme comfort thanks to Sennheiser's extensive research and dedication into the ergonomics of the human ear. The GSP 300 makes use of a smart ball-joint hinge on the cups to perfectly fit the user's face shape and head size. It also uses an aviation-inspired headband that decreases pressure to further enhance comfort. 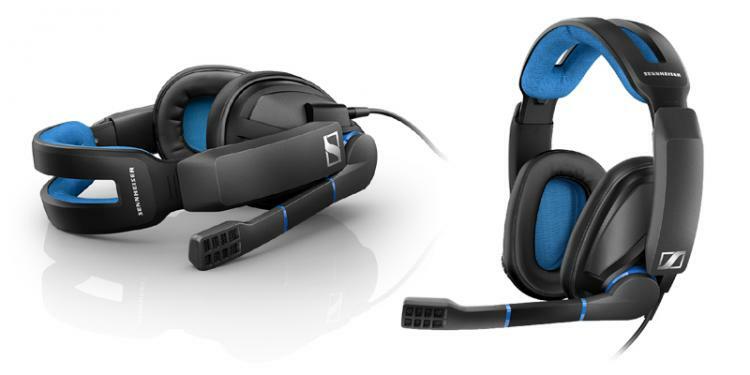 Sennheiser designed the GSP 300 with gamers in mind, to focus on optimizing gaming experience. Ergonomics promises comfort and quick control access even in intense gaming. The volume control on the right ear cup helps the user adjust volume in a jiffy, raising the microphone boom mutes it automatically, and it is built with high quality components ensuring durability and longevity. The Sennheiser GSP 300 Gaming Headset is available by the end of September 2016. It will have a standard retail price of €99 or approx. £85. The GSP 300 also comes with a limited two-year warranty.